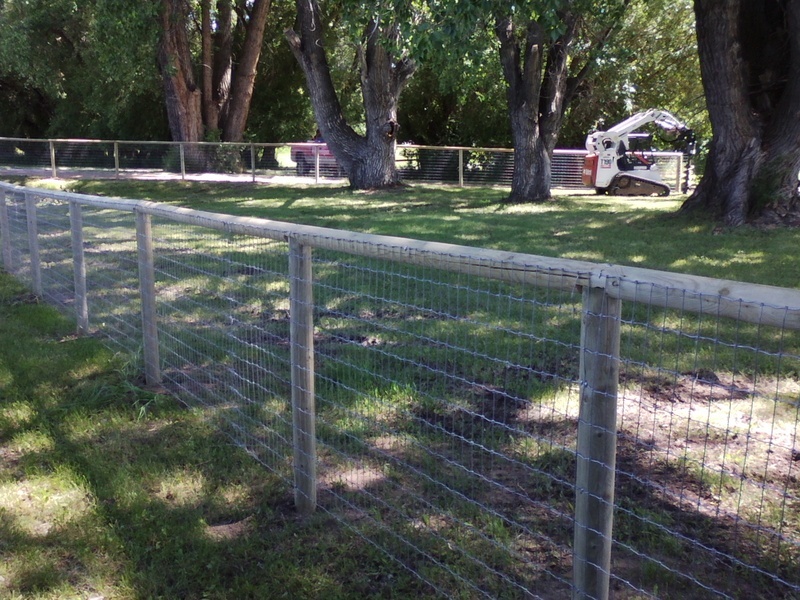 We have four stander styles of rail pole fence, One Rail Pole Fence, Two Rail Pole Fence, Three Rail Pole Fence, Or Four Rail Pole Fence One Rail Pole Fence with woven wire placed on it is commonly used for defining borders, keeping in large livestock to small animals, One Rail Pole fence also helps deterring game animals such as deer from causing damage to your bushes, garden, trees, ext. If you are looking to just put a complete stop to your deer, elk or antelope problems please contact us or visit our Deer & Game Fence page. One Rail & Post Pole Fence, With Four Foot Woven Wire. In Mountain Shadows Subdivision. Mountain Shadows Blvd. Sheridan, County Wyoming. This Fence Was Installed By RanchHand Fencing L.L.C. One Rail Post & Pole Fence, With Four Foot Woven Wire. In Mountain Shadows Subdivision. Mountain Shadows Blvd. Sheridan, County Wyoming. This Fence Was Installed By RanchHand Fencing L.L.C. One Rail Post & Pole Fence With Four Foot Woven Wire. On Highway 87, Coffeen Avenue Sheridan, County Wyoming. This Fence Was Installed By RanchHand Fencing L.L.C. WESTERN LOOKING FENCES CASPER WYOMING SHERIDAN WYOMING BUFFALO WYOMING HOW TO BUILD A FENCE? FREE ESTIMATES..